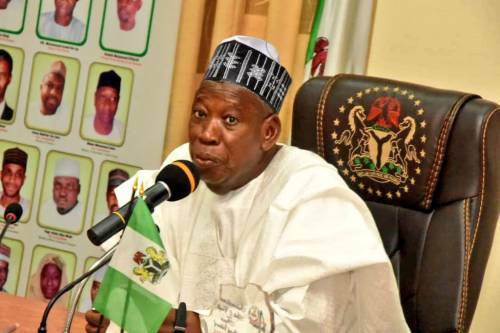 Ahead of the supplementary elections in Kano on Saturday, Governor Abdullahi Ganduje, has warned that his government will not tolerate any breach of peace by any group or persons in the state. Ganduje gave the warning on Tuesday in Kano, when an amalgam of 320 associations called Kano Peace Ambassadors, paid him a solidarity visit. “We will not tolerate breach of peace under whatever guise, and the government will not fold its arms and watch people instigating instability in the state. “As a governor of Kano state and the Chief Security Officer of the state, I cannot sleep if any drop of blood is wasted. ”I am not speaking as a gubernatorial candidate, but as the executive governor of Kano state and the chief security officer of the state. Anybody wishing to disrupt the peace of the state will not go scot-free,” he said.